Netflix has offically picked up Dumplin’, the dramatic comedy starring Dove Cameron and Luke Benward. Yep, that’s right. The on-screen couple from Disney Channel Original Movie, Cloud 9, is starring in another film together. Yay! Dumplin’ follows the story of a former beauty queen’s teenage daughter, who signs up for her mother’s pageant as a protest. It ends up escalating, after other contestants follow in her footsteps and basically starts a revolution. Luke isn’t not the only former co-star of Dove’s that she reunited with in Dumplin’. In addition to the 23-year-old actor, she also got to work with Maddie Baillio again – who she starred in Hairspray Live! with. The 22-year-old actress was the Tracy Turnblad to Dove’s Amber Von Tussle. In fact, the entire cast makes up a pretty sweet line-up. Dove seems to have gotten especially close with fellow cast member Georgie Flores, 21-year-old actress best known for starring in Famous In Love. 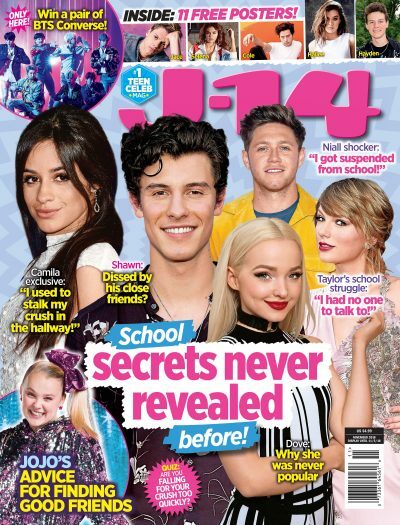 J-14 caught up with Dove after the movie wrapped, and she spilled all about how much she got along with the cast. Dumplin’ will be released later this year on Netflix, both in the U.S. and select international platforms. Plus, it’ll be shown in select theaters!